Could the Yosemite Rim Fire Be Ecologically Beneficial? The fire might create entirely new ecological states. Some parts of Yosemite may be radically altered, entering entire new ecological states. Yet others may be restored to historical conditions that prevailed for thousands of years from the last Ice Age’s end until the 19th century, when short-sighted fire management disrupted natural fire cycles and transformed the landscape. 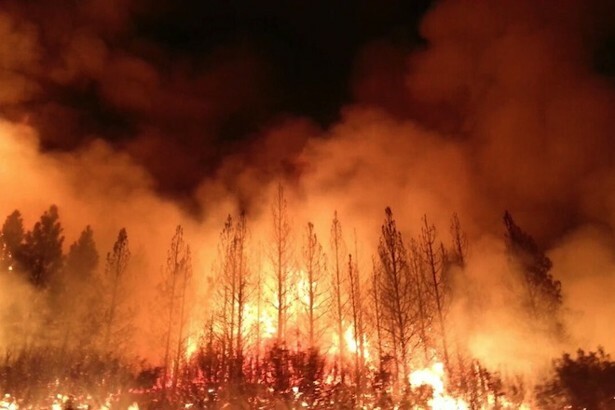 Fire is a natural, inevitable phenomenon, and one to which western North American ecologies are well-adapted, and even require to sustain themselves. The new fires, though, fueled by drought, a warming climate and forest mismanagement — in particular the buildup of small trees and shrubs caused by decades of fire suppression — may reach sizes and intensities too severe for existing ecosystems to withstand. If the fire burns at lower intensities, though, it could result in a sort of ecological recalibration, said Skinner. 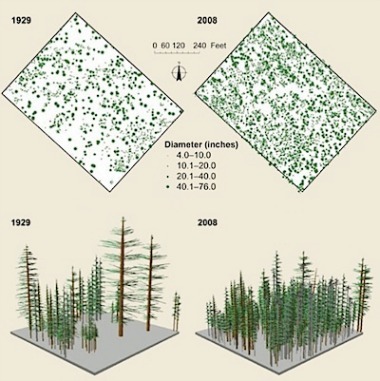 In his work with fellow U.S. Forest Service ecologist Eric Knapp at theStanislaus-Tuolumne Experimental Forest, Skinner has found that Yosemite’s contemporary, fire-suppressed forests are actually far more homogeneous and less diverse than a century ago. This story was originally published at Wired and appears here as part of the Climate Desk collaboration.